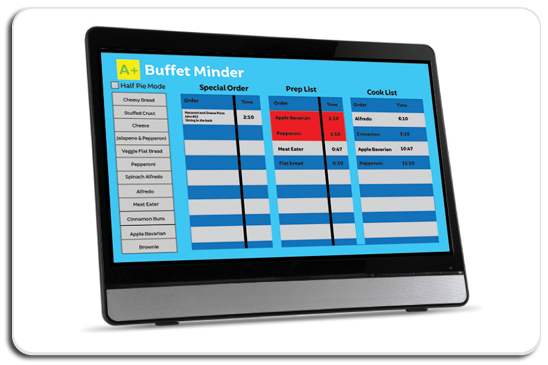 Buffet Minder™ is the new top of the line solution for Product Management. 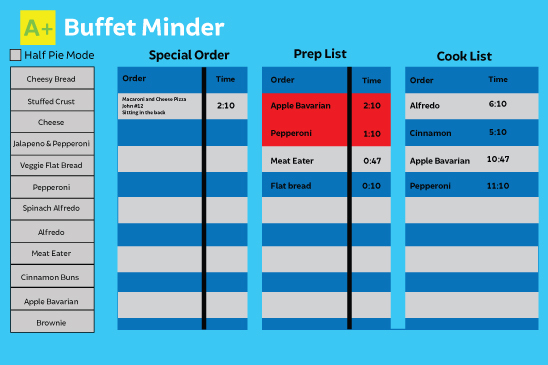 Buffet Minder™ anticipates and displays what to cook throughout day parts based on forecasts and current products that are cooking or in product holding. 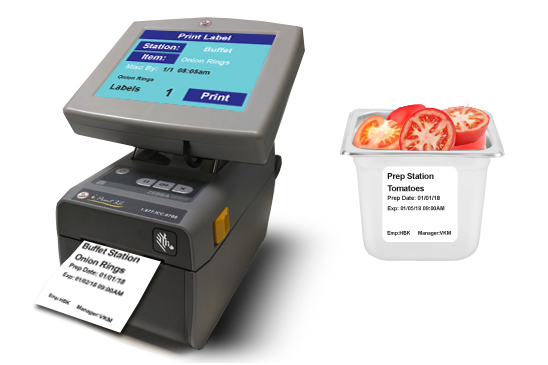 The complete system includes an All in One Touch Screen Computer Monitor, an i.Print™ Food Service Label Printer and a Scan 'n' Temp™ Barcode Scanner. The main computer screen is mounted in the back of house, equipped with a 24" display screen, allowing easy use for all of staff. During use, products populate live on the display screen and show you the amount to cook minute by minute. When a product populates on the screen, a cook timer starts and displays cooking countdown. Once the user cooks the amount of product, they confirm it has been panned by selecting the Item Panned button. Labels are then produced with an i.Print™. The labels typically include: the time it was prepped, the use by time and a barcode (This however can be customized to your needs). The labels for this system are rugged and can withstand very high surface temperatures and water temperatures - making them ready for any environment. 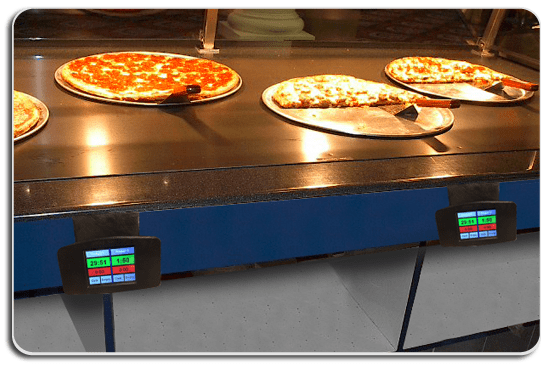 Buffet Minder™ remembers everything it that was panned and creates labels for all the products that were confirmed on the screen. The user can then scan and put pans back into the line as needed. Pans that aren't fully used can be placed back into hot holding or cold holding for back fill use if needed. 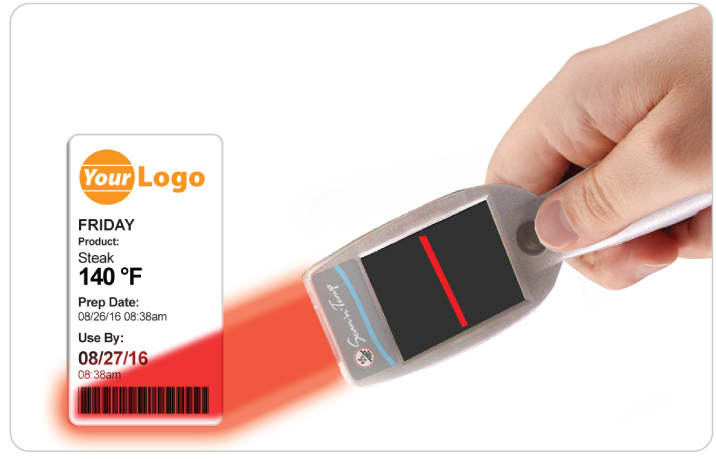 When product has expired, the barcode scanner can be used to log wasted product that wasn't served. This crucial step will help you with inventory and future POS performance. 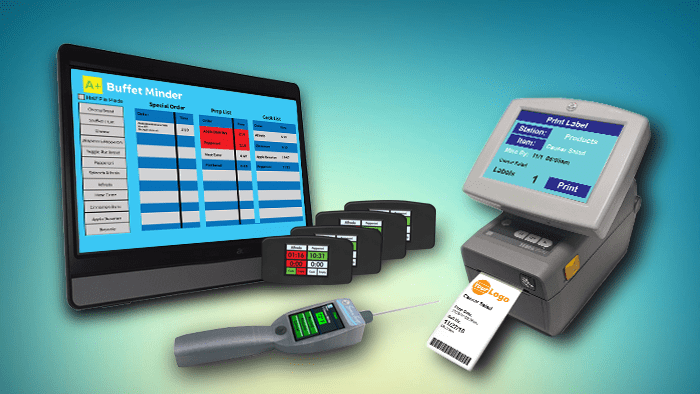 Integrate your current POS systems with Analytics and Food Safety. Ready to energize your food service practices with analytics and quality standards data? Talk to our Sales Department to get started with Buffet Management.